Obituary for Kathleen A. (O'Day) Gwara | Varnum Funeral Home, Inc.
West Brookfield - Kathleen A. 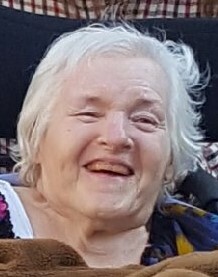 (O’Day) Gwara, 71, of West Brookfield died on Thursday, January 17, 2019 at Quaboag Rehabilitation and Skilled Care Center following a long battle with multiple sclerosis. She leaves her daughter, Rachel McMorris, her grandson, T.J. McMorris, and two great-grandchildren. She also leaves five sisters, Laurie Starcher and her husband Ron of Brookfield, Nola Fantaroni of Princeton, Lynn Bergeron and Shanon O’Day both of Brookfield, and Patricia MacFarland of Springfield, as well as her brother, famous drag racer Danny O’Day of Grassy Creek, NC. She was born in Southbridge, daughter of the late George and Dorothy (Freeman) O’Day and grew up in Brookfield. Kathleen worked as a waitress at several area restaurants. She loved gardening and animals, especially her cats. Her family would like to thank the dedicated staff at Quaboag Rehabilitation and Skilled Care Center for their excellent care. Kathy made many friends while a long-term patient there, and will be sadly missed by her family, staff, and friends. Services for Kathleen will be held privately and there are no calling hours. In lieu of flowers, memorial donations may be made to Second Chance Animal Shelter, P.O. Box 136, East Brookfield, MA 01515. Varnum Funeral Home, Inc., 43 East Main St., in West Brookfield is assisting her family with arrangements.